Announcing the Radiant Retreat, March 21-28, 2015 to Tulum, Mexico, Founded by Jennifer Schelter, and assisted by yoga teacher and health coach, Maggie Converse. The Radiant Retreat is an internationally recognized week-long retreat to the stunning natural paradise of the Mayan Riviera. The retreat enhances self-care, connection, rejuvenation, fun, and creativity. The daily schedule includes: mindfulness meditation, yoga (for all levels), creative writing – memoir, poetry or letter writing, one-on-one instruction, healthy meals, free time, and relaxation. Jennifer and I look forward to sharing elements of the retreat and journey over the next 6 months, as we all begin to prepare all the elements for your adventure to the Radiant Retreat in Tulum. Take a peek at your calendar for March 2015. 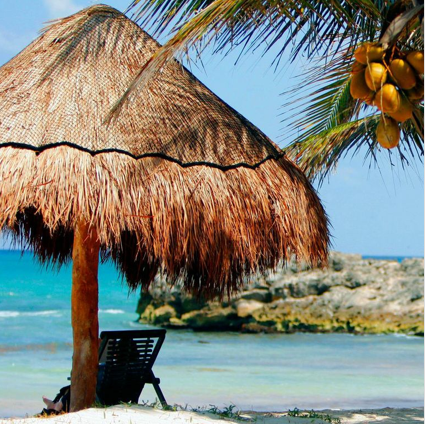 Just planting the seed, and reminding you that come March, you could be packing your bags for Tulum. Share this adventure and enjoy the ride. Click here for full details on the Radiant Retreat. Does a home yoga practice intimidate you? Maybe it’s because of an impression that you MUST be able to do certain poses. Or maybe it’s because you just don’t have the time. Can you lie on your back with your legs up the wall or stand on one leg and focus on your breath? Can you carve out 5-10 minutes any time of day that are just for you? If you answered yes to both those questions then you most certainly can do a home yoga practice. And, starting on Monday July 28, I am starting the Home Yoga Challenge for 10 Days! Usually my Saturday post-run ritual includes a scrumptious quinoa cookie from SoNo Baking Company. During that last mile I start to daydream and it’s the thought of that cookie that gets me up that final hill on South Maple Ave. Today however, that changed. 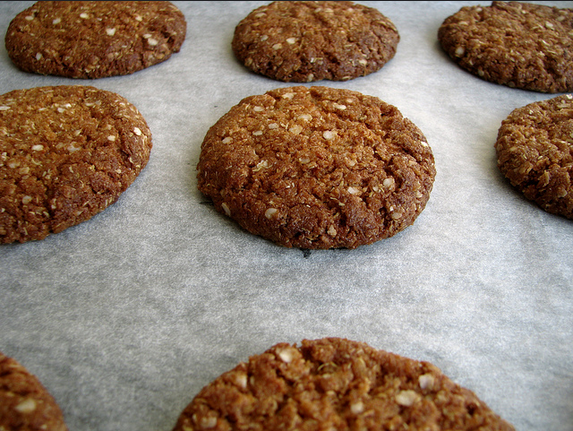 It dawned on me that a gluten-free diet does NOT include my most favorite cookie. Allow me to back-track just a little: two weeks ago I had another debilitating migraine that lasted over 48 hours and almost kept me from missing a very important family event. I was left feeling defeated and disappointed: I missed time with family visiting town, canceled several yoga sessions, and had to sub out my Saturday morning class. Here’s where gluten-free enters the picture: by chance I had several conversations at this family gathering with family members and long-time family friends about their experiences with a gluten-free diet. One in particular about how it transformed someone’s experiences with … debilitating migraines. It was then and there that I decided I would give it a try (after of course I indulged in a mini goat cheese tart) for one month. Today is Day 11. I can’t say there are any noticeable effects on my migraines, it is too soon to tell. But I am willing to give this a shot, I am up for the challenge. And while I cannot indulge in my beloved quinoa cookies, there is plenty that I still CAN eat – like this easy and delicious roasted chicken legs recipe I found on foodandwine.com. Bonus: it also has kale! Now to find a quinoa cookie gluten-free substitute. Any suggestions? Preheat the oven to 450°. In a very large roasting pan, toss the kale, potatoes and onion with the olive oil. Season with salt and pepper and spread in an even layer. Set the chicken on a cutting board, skin side down. Slice halfway through the joint between the drumsticks and thighs. Season with salt and pepper, sprinkle with the paprika and set on top of the vegetables. Cover the pan with foil. Roast the chicken in the upper third of the oven for 20 minutes. Remove the foil and roast for 30 minutes longer, until the chicken is cooked through and the vegetables are tender. Transfer the chicken to plates and spoon the vegetables alongside. Serve with lemon wedges.